 Washington, DC —September 17, 2018 — The Asbestos Disease Awareness Organization (ADAO), an independent nonprofit dedicated to preventing asbestos exposure through education, advocacy, and community work, today announced that the Environmental Protection Agency Office of Inspector General released a report “EPA Needs to Re-Evaluate Its Compliance Monitoring Priorities for Minimizing Asbestos Risks in Schools,” detailing the failures of the EPA to appropriately monitor and manage asbestos in our schools. In addition, ADAO underlined the EPA’s lack of action and de-prioritization of asbestos risks. 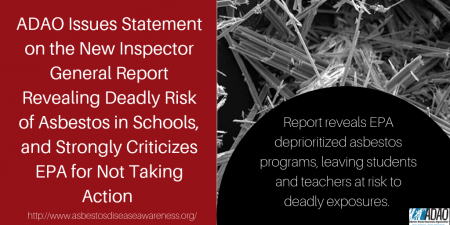 The 1986 Asbestos Hazard Emergency Response Act (AHERA) requires the EPA to conduct inspections in schools for the majority of states, but the report found that the EPA had neglected these responsibilities. In response to the report, the EPA claimed it had disinvested from asbestos programs in favor of other priorities. The report notes that children are at a higher risk for asbestos exposure, “because they are more active, breathe at higher rates and through the mouth, and spend more time closer to the floor where asbestos fibers can accumulate.” This is a critical acknowledgement that has taken the EPA far too long to admit. Leading experts have also voiced their concerns.